The meteorological situation has not developed in the way I originally forecast. There could still be an isolated tornado or a thunderstorm could cause a damaging wind gust today but the threat is not particularly high. The forecast has not changed much. The blizzard begins later today with high winds and low visibilities throughout the region where heavy snow is forecast to fall. 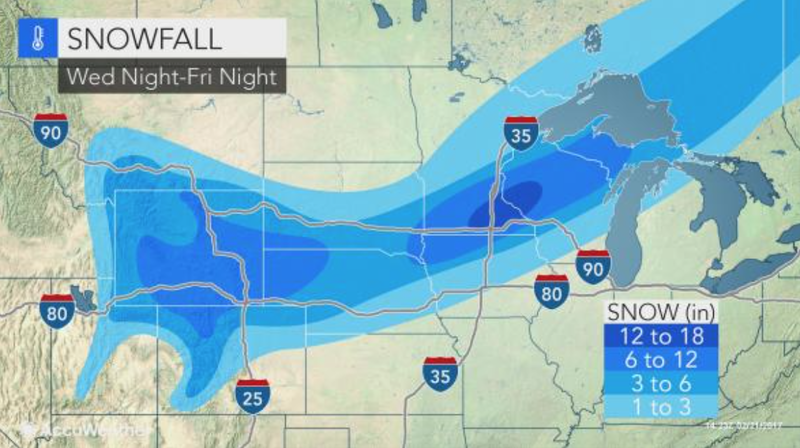 This is forecast to be the worst storm in six years in the Twin Cities. 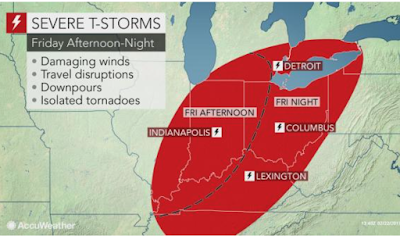 More details from AccuWeather. Damaging winds and an isolated tornado possible. Details from AccuWeather.